This classic love story is wonderfully retold by David Walser, in a direct translation from the original German story. Jan Pieñkowski, master of illustration, brings the story vividly to life adding his own magic with exquisite illustrations on sparkling backgrounds. The finale is a multi-layered tableau of intricate laser-cut silhouettes, created in the style of traditional German papercraft. This beautiful and sumptuous novelty book is the ultimate Christmas gift. 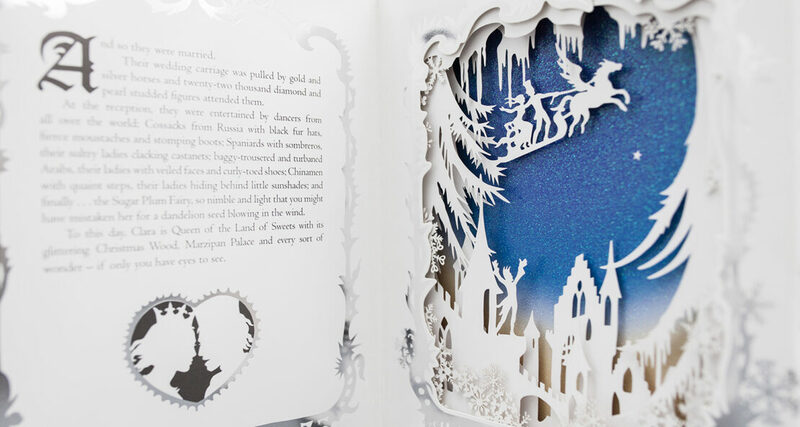 This book has an intriguing glittery cover featuring an intricate die cut through to the first spread.